What does brazened honey do for your skin? This mask contains among other things honey, ginger and lemon. This mask must have a detox working for your skin and it will also give it a beautiful, healthy glow. Also will this detox mask cleans your skin deeply. So this mask must give a real boost to your skin. This mask has rather a firm structure and you clearly can see and feel the scrub particles in here. Also the mask has a very special and strong smell. So be sure that you can handle this! You can leave the mask on your skin for 10 min. Every time when I bring this mask on I feel a slight tingling, but luckily this feeling stops after a few minutes. It not an annoying feeling, but I was happy when it was over. When I washed the masker off I felt that the scrub particles gave my skin also a little scrub session. After it was washed off, my skin felt so soft and I indeed saw the pretty healthy glow. My skin looked much smoother and better. So yes, this mask gives your skin that detox moment that it sometimes need! I’m really impressed from this face mask! I think that this is one, is one of the best face mask I ever tried! It for sure an amazing mask, that does what it promised! It makes my skin look fantastic again! I’m for sure a fan from this mask! And I only can recommend this as the perfect detox mask for a beautiful skin! You must keep the fresh face mask from lush in the refrigerator and they also have an expiration date. Mostly a little month, after that month it will be harder to bring this on. So be sure that you keep that in mind and that you always keep it in the refrigerator. 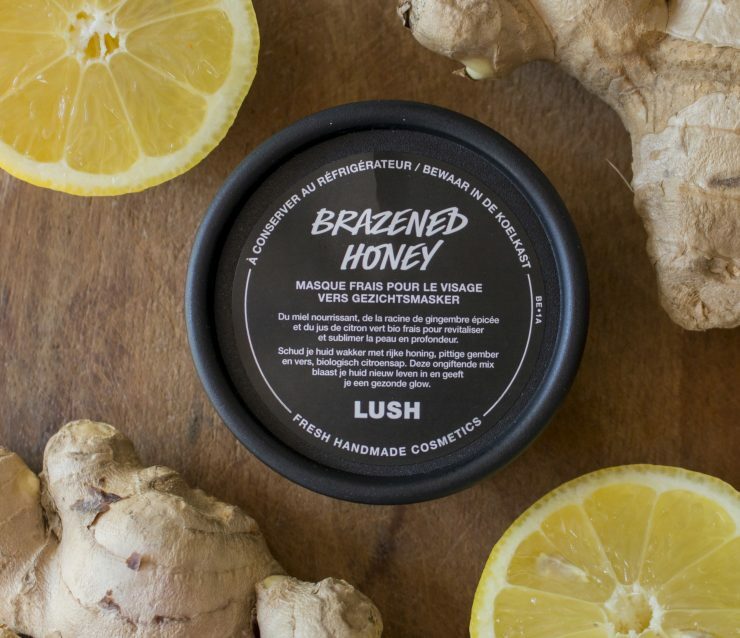 This fresh face mask brazened honey from lush contains 75g and the price is €10,95. Out 1 packing you get 4 till 6 masks, but this depends from how royal you are with bringing this one.